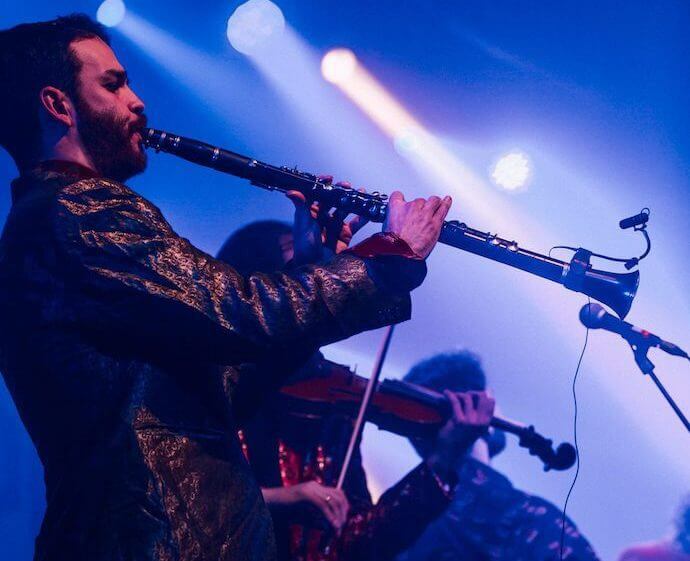 Hitting Yellow Arch this Friday night are a band who take the term eclectism and run with it, quite literally around the world, taking on members from India, Mexico, Israel, Spain and Turkey. The Turbans’ sound is truly undefinable, a melting pot of klezmer, balkan, gypsy and folk music from around the globe. 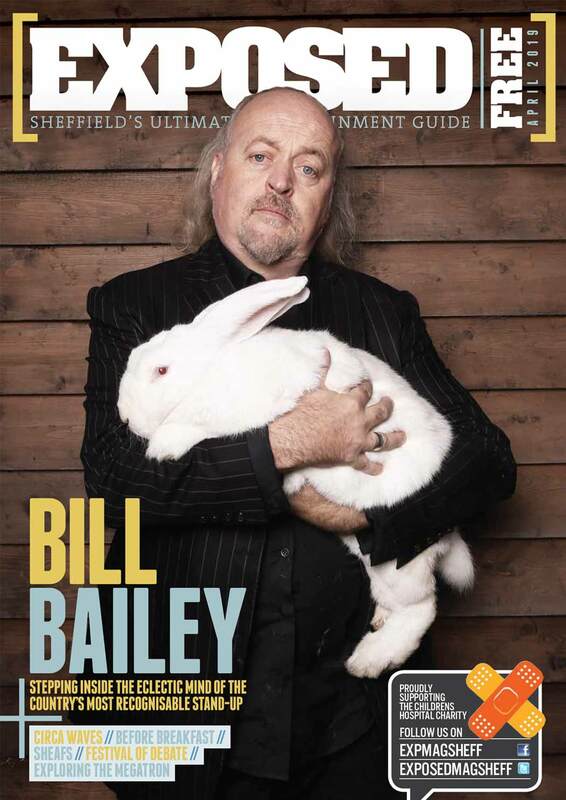 Hey guys, super excited that you’ll be making the trip over to Sheffield in a few weeks’ time! You’re touring your debut album at the moment, how long have you been working on that? We are really excited to be coming up to Sheffield. We can’t wait. It’s been two years since we started the process of creating this album, but it’s been building inside us for a lot longer. Being a very international band with members from all over the world, how has that influenced the recording of the album? Has it been difficult to get a time when everyone is in one place to play and record together? The hard part was finding a time that all of us could come together in one place for long enough to work on the songs. We also wanted to record it live so that we could capture the energy that we all have. We managed to find a time in April 2016 and some of the band came from as far away as India, Mexico, Israel, Spain and Turkey. And the album was made possible thanks to an Indiegogo crowdfunding campaign? Can you tell us a bit more about that; did it give you confidence going into recording knowing that the public had got behind you and wanted to help get the record released? It was exactly 2 years ago we started a crowdfunder and raised just over £20,000. We were shocked that we made that much! I just plucked a random number out of the air and said that’s how much we can make if we try. And we did! At the same time we were really humbled by the support people gave us and that infused us with a great spirit for recording. With so many musical influences from around the world, did you find it hard initially as a group to nail down a certain sound? Or do you feel it formed quite naturally as everyone has their own unique style and instruments? The sound of the group is constantly changing. Depends on who is in the country at any one time. We can play entirely different sets from concert to concert. There is no central sound, but rather a central spirit. And that is passion. For the album we brought 30 songs to the table. They were all radically different in genre and sound. Some were old compositions that had never had a chance to be played in a big band. Others were just a line or lick. Some were Indian-esque ragas and others flamenco ballads. We then taught each other all the songs and a ‘sound’ just appeared naturally. What about your musical inspiration? I’m sure all each member has their own personal influences to draw upon, but do you think there are any artists/musicians that everyone collectively looks up to? I don’t know if there is one unifying inspiration musically except that we can all see the energy and passion of a band/musician. Where there is love for the performance we can feel it. We’ve seen your album was mixed by Jerry Boys who’s been involved with some other huge artists like Buena Vista Social Club and Ali Farka Toure – was he someone you were keen to work with given his history of global music production? We were researching and calling a lot of people looking for producers and engineers for the album, and then we got Jerry Boys’ contact from a friend who had worked with him before. He wasn’t free to engineer at the time but when we sent him the recordings he was so impressed that we had managed to capture that live sound he really wanted to come on board with the production. It really was an honour to work with him and we hope to make our next album with him and any other “greats” he brings to the table. Being based out of London, do you find the UK crowd has been quite receptive to your musical style and the energy you guys have when you play? Are there any cities or venues on the tour that you’re particularly excited about playing? There is such a multiculturalism to London that you can always find a receptive group of people here. They might find it hard to let go at first… but our concerts always bring out the fire in people. We’re really excited to play anywhere up north. There is such a strong and genuine spirit to the people and that really has a positive effect on our performances. Also we just played Istanbul which was on fire! We’re also intrigued about Copenhagen as we have never played there. You’re playing at one of our favourite venues in Sheffield, Yellow Arch Studios, which has a long history of hosting some of the most diverse music events in the city, recently the album launch party for 47Soul and another artist signed to your Wormfood agency, Afriquoi. Does it give you any more confidence coming into a gig knowing you’re playing somewhere with that kind if reputation? For sure. Reputation adds a lot of vibe to a gig. We know that we have to perform to our best and up to the standards of the other groups on our agency. We have a great respect for 47Soul and Afriquoi and if they have been there it means the place has got to be rocking! And looking past the tour, anything special upcoming that you guys are excited about? Any festivals you’re going to be playing in the summer? We will be playing a lot in Europe this year and we are working on a little tour of America. Excited to be releasing our album with Six Degrees Records and seeing what that brings us. Thanks for chatting to us, can’t wait for the 23rd! The Turbans hit Yellow Arch Studios this Friday 23rd of March alongside Solana, Captain Avery & the Cosmic Triceratops of Intergalactic Peace & Belgrade Balkan Soundsystem (Mango Disco). Tickets are available from £16 here. Keep an eye out for their Exposed In Session which will be out soon!